A colorful Halloween jack-o-lantern for you. 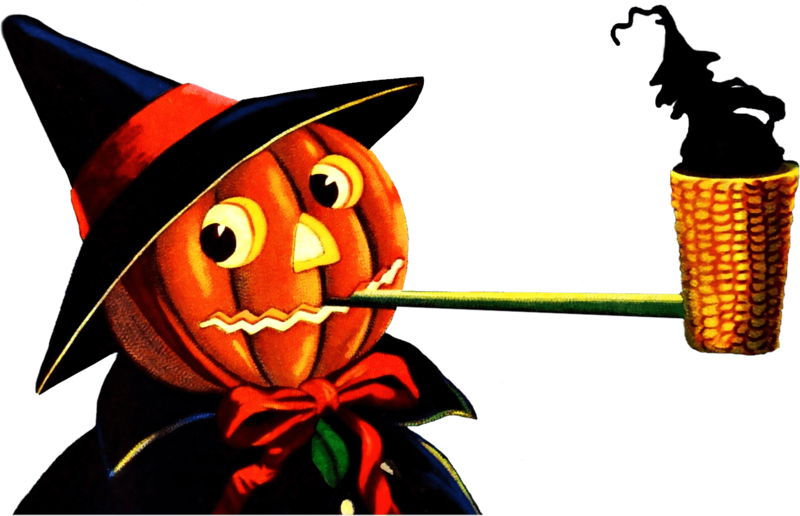 This bright pumpkin is smoking a pipe, and the smoke takes the shape of a wicked witchy character. The first is a touched up version of the original–a mint postcard. And the second is a version I, somewhat roughly, cut out with a transparent background. The vivid colors in this image are absolutely eye-catching, and the pumpkin fully conveys a sense of “vintage Halloween.” Use it for your crafts, graphic design, or whatever else your creative mind dreams up. 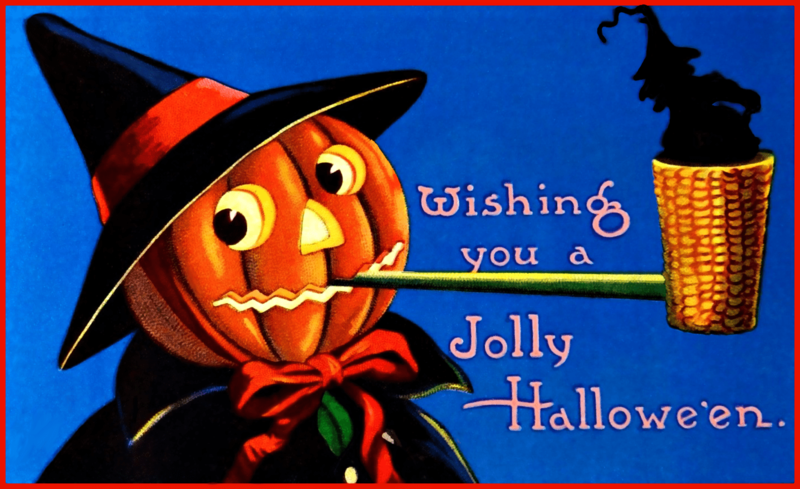 This entry was posted in Halloween Clipart and tagged clipart, halloween clipart, holiday clipart, Jack-o-lantern Pipe Clipart, royalty-free, stock image, vintage image on October 6, 2014 by Noel Bryan.